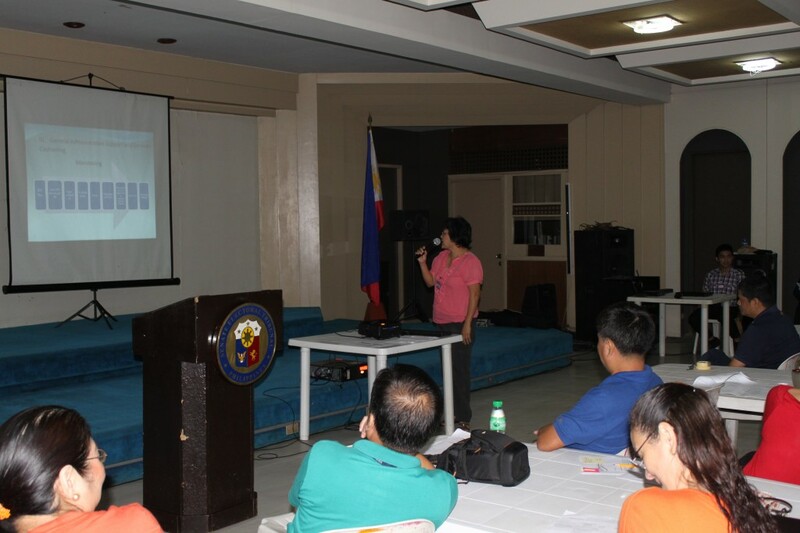 The Senate Electoral Tribunal held its 2013 Annual Planning Workshop-Staff Level on November 20 and 21, 2013 at the Tribunal Session Hall. 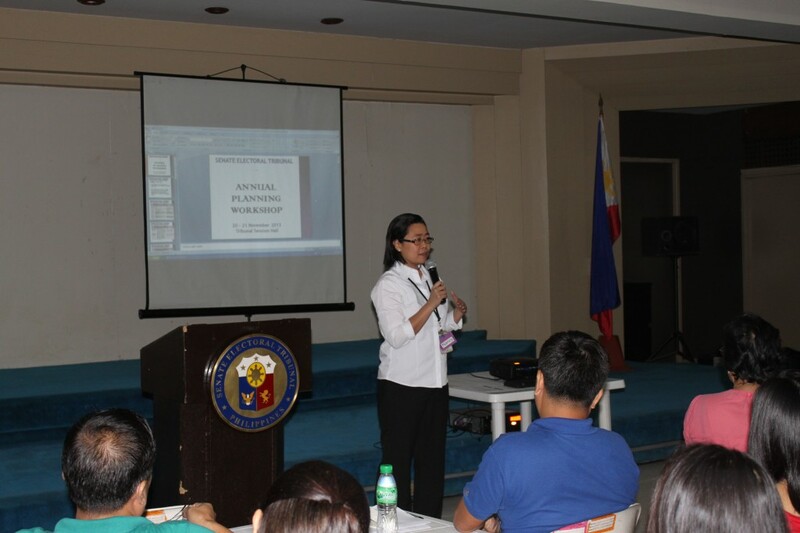 The Workshop kicked off with an opening prayer, followed by the Opening Remarks of the Tribunal Secretary, Atty. 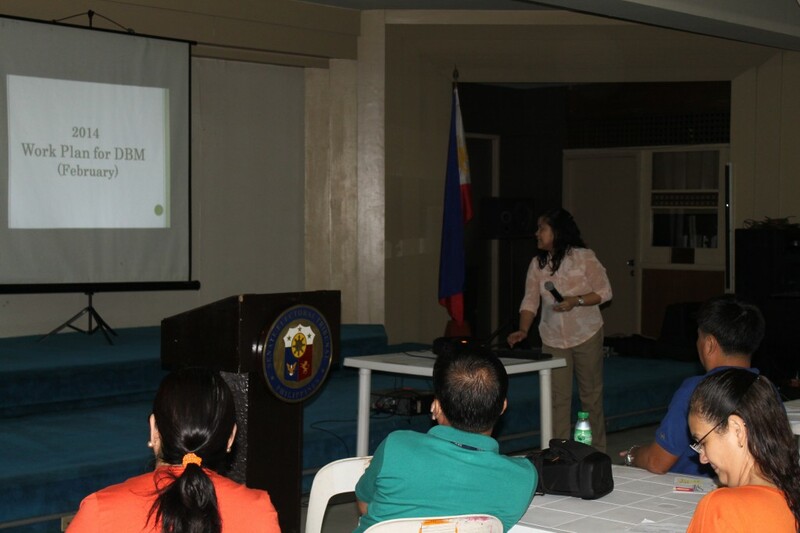 Irene R. Guevarra, who requested some moment of silence prayers for the victims and survivors of Typhoon Yolanda. 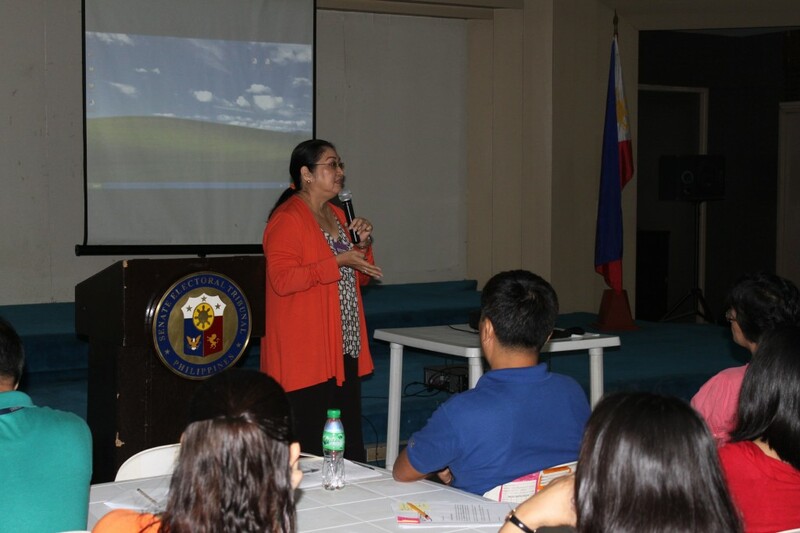 Ms. Nancy G. Cañete, Supervising Legislative Staff Officer II and Planning Officer, discussed the workshop expectations, including the objectives for all seven service groups and the Office of the Secretary (OSEC) of enhancing team spirit and camaraderie among SET Secretariat personnel and finalizing the Tribunal’s Work Plan for CY 2014 as well as the Individual Performance Commitment and Review Forms (IPCRF) for January to December 2014. Ms. Canete Further emphasized the concept of SYNERGY, which is synonymous to “Creative Cooperation” and symbolized by the formula “(1+1=3).” This formula, she said, summarized the concept of TEAM: Together Each Achieves More. She stressed that synergy leads to teamwork, unity and harmony and encourages team embers to value differences of each other. She pointed out that unity is neither uniformity nor sameness, but the building of a complementary team. Under the theme: “Where is SET Now?,” seven (7) Service Groups (Canvass Board Service, Legal and Judicial Records Management Service, Human Resource Management Service, Procurement and Property Management Service, Finance and Budget Service, Accounting Service and Cash Management Service) presented their respective Accomplishments for CY 2013. The first workshop day was capped by a lecture of resource speaker, Dr. Jaime Z. Galvez Tan, M.D., M.P.H., on “Healthy Workforce, Healthy Workplace: Secrets to a Long Healthy Life.” Refreshed and energized by the lecture, SET employees left for home eager to tackle the next day’s work. Activities during the second day of the workshop addressed two crucial questions. The morning session consisting of the presentation by the Office of the Secretary and the different Service Groups of their respective Work Plan for CY 2014 answered the question: “Where does SET Want to Be?” The afternoon session was spent responding to the question: “How will SET Realize its 2014 Work Plan?” through the employees preparing their respective IPCRF for CY 2014. The Workshop closed with the integration/Presentation of CY2014 IPCRF’s to the Secretary of the Tribunal in a formal ceremony. 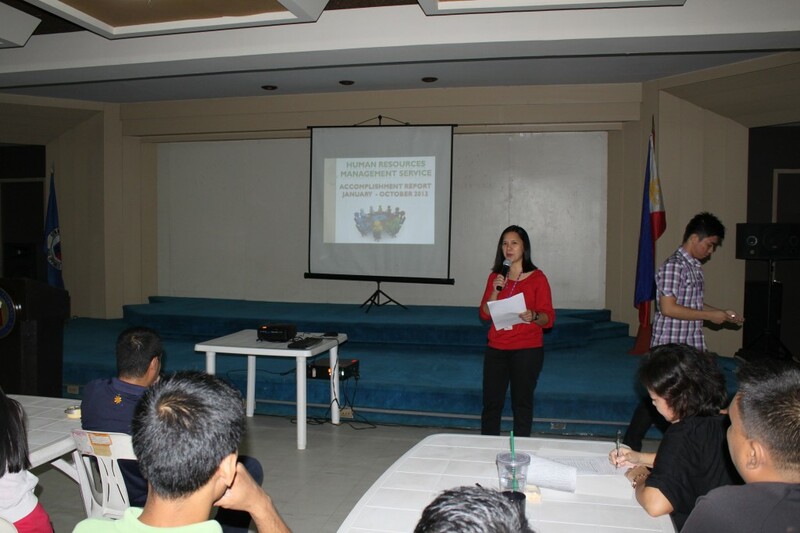 The Annual Planning Workshop was organized and conducted by the Office of the Secretary Program Committee headed by Ms. Canete, assisted by Ma. Cel-Sa S. Palomar as Master of Ceremony Percival P. Cacho as Food Administrator, Pompeyo S. Lague as Prayer Leader and Leandro T. Villamiel as overall Program Committee Assistant.